When I first became pregnant, I was obsessed with tracking everything. I had found a website online that I could journal in, add pictures etc. 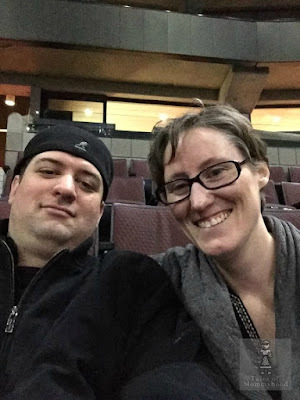 It was a great way for me to keep track of the little things that go along with pregnancy. After Mr. J was born, I stopped visiting the website and I eventually forgot the name of it - and therefore have none of that information. 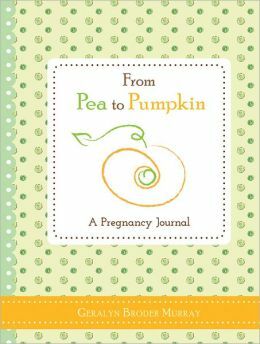 I recently was approached to review From Pea to Pumpkin - A Pregnancy Journal (Geralyn Broder Murray) and I am so glad that I did. I wish that I had this when I was pregnant with both of my boys. The book is broken down into Trimesters, and then it has a weekly page. It gives a checklist for symptoms and then it has a few leading questions that you can answer, and blank lines to write down whatever info you want. There are spaces for pictures (ultrasound and belly pics) and it gives you a guide for how big your baby is, in comparison to different foods. My memory used to be terrific - now however, not so much. thanks for visiting! Awesome! 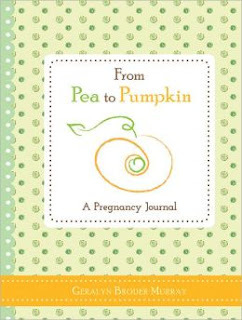 I remember writing in a journal throughout both my pregnancies. I love that this is broken down into trimesters as well as having weekly pages you can update. I wish I would have seen this a few months ago, I know two ladies who would have loved this, but are due any minute now, lol. Oh! We reviewed this last week and I absolutely LOVE it!!! Perfect gift for soon-to-be moms! That is a great book! I was like you OBSESSED!! I wanted to know daily what was forming! Thanks for sharing! thanks for stopping by! My hubby couldn't understand my obsession - did yours?